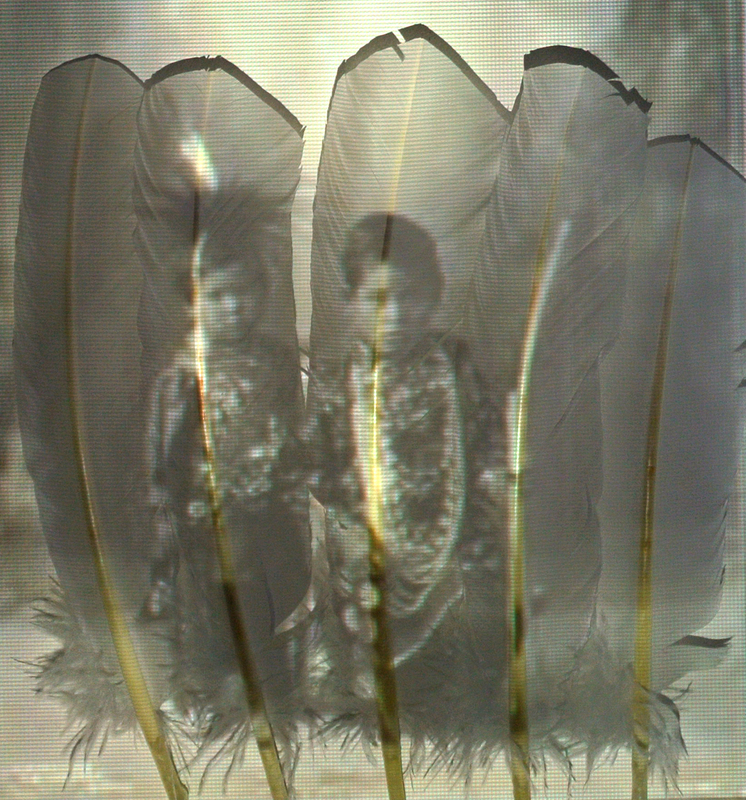 My inspiration with feathers originally came from my fascination with Native American Indians. The feather representing a badge of honour. I wanted to create a response to their battles and suffering in massacres during the 19th century. A central piece is comprised of white goose feathers, each hand printed with the names of a conflict between the Plains Indians and the US Army. 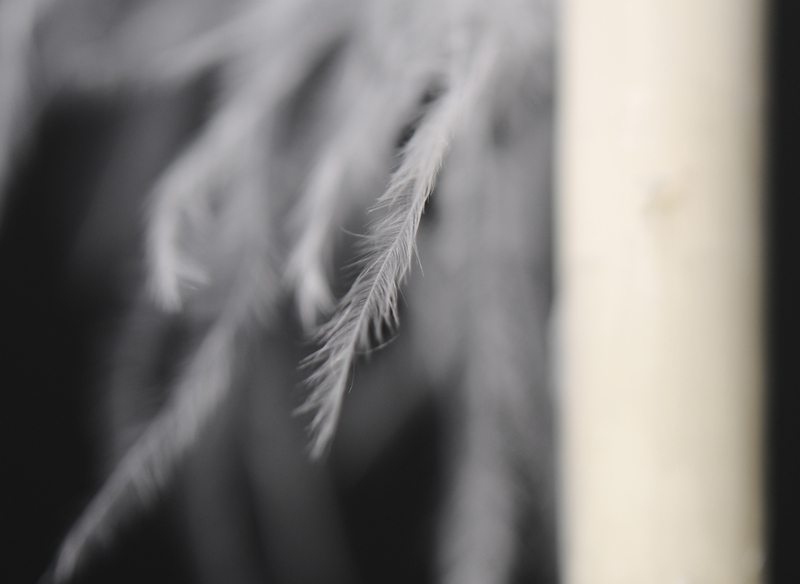 These feathers are then "stabbed" into the wall in imitation of arrows but also echo a Native American Indian headdress. 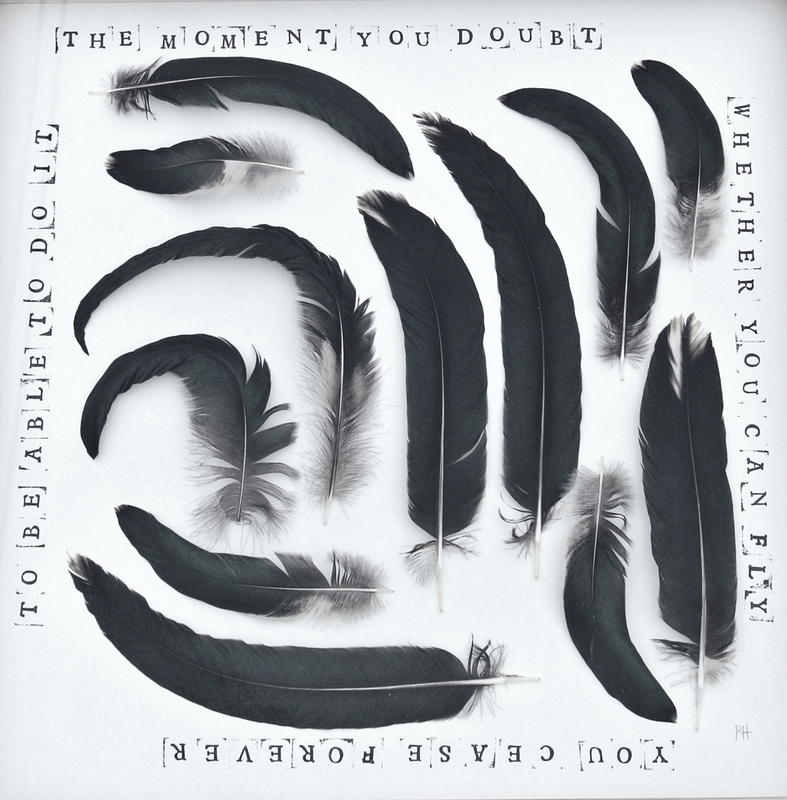 In other work I have manipulated feathers by burning them, and combined them with text.